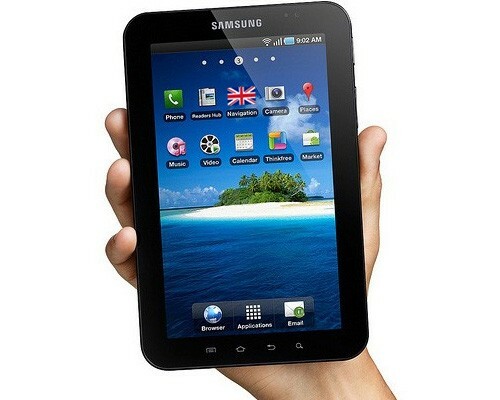 Samsung has announced that it has sold over 1 million units of their Android powered Galaxy Tab. It officially makes it the number one rival to Apple’s iPad, but still has a long ways to go before they dethrone the king. The numbers Samsung has confirmed are pretty impressive seeing how the Galaxy Tab has only been on sale since mid-November in the U.S, and a little over two month outside the U.S. Just two weeks ago it was reported that only 600,000 had been sold. Now since Black Friday and the beginning of the holiday shopping season, Samsung has seen the big increase in sales. Samsung, along with all four major U.S carriers expect to see even better numbers as the holiday season continues. Samsung projects that they will sell over 1.5 million units by the end of 2010, which is 50% better than Samsung originally forecasted. Still Apple has a commanding lead in the tablet market. The iPad holds a whopping 90% of the tablet market, but projections show that by the end of next year Android tablets will have 15% of the market. The 7 inch Galaxy Tab is a perfect example of a successful small size tablet. Steve Jobs might be wrong about the 7 inch tablet, and the Android tablet platform in general. It’s proving to be a big success in the consumer electronics market. 2011 is expected to be even better for both Andr0id tablets and the iPad. Samsung is also expected to release a cheaper, WiFi only version of Galaxy Tab very soon. It was supposed to be on sale already at Best Buy, but has been delayed for some reason. So keep your eye out of that if you want a Galaxy Tab, but don’t want to dish out $599 for the 3G model at Verizon.